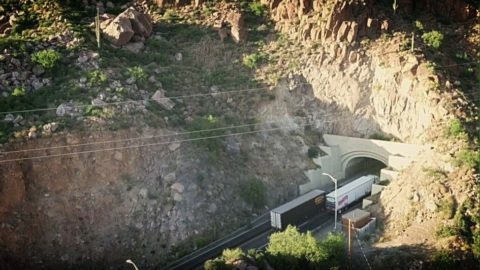 Motorists are seeing a historic Arizona tunnel in a new light, thanks to Border States. Since its construction in 1952, Queen Creek Tunnel in Superior, AZ, has endured major wear and tear as the main transportation vein for the nearby copper town of Globe, AZ. Large mining vehicles and tractor trailers would frequently strike lighting fixtures on the tunnel walls, knocking them down. In 2016, Border States, CS Construction and Acuity Brands helped the Arizona Department of Transportation (DOT) implement a solution – the Holophane TunnelPass LED. The updated technology was part of an overall project to upgrade the 1,217-foot tunnel’s aged electrical system. Today, a new line of LED fixtures line the top of the tunnel, featuring dynamic dimming, through which adaptive controls adjust to the time of day and outdoor light levels. 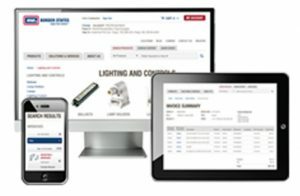 All lighting can be adjusted remotely. The new Holophane TunnelPass LED system not only increased lumen levels for Queen Creek Tunnel, but it lowered the DOT’s energy bill and cut maintenance costs in half. With its unparalleled clarity and crisp, white light, the major tunnel is now more equipped to serve the needs of the 21st century.